You are drunk on wind. My friend. You need a song for all of that enthusiasm. I'll work a power ballad called "I Want to Hug the Wind." 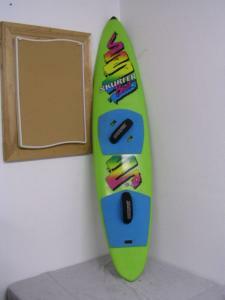 Awesome, I also have a original Skurfer. Its hanging in my garage.